Why blog? That’s a big question. How many people really read what you write? Its hard to say. There are trackers but some of those just show visits, not acutual readers. I get very few comments on mine. I became frustrated and last year with life coming at me full force, I quit blogging except Friday. I had entered the MRW52 week blog and didn’t want to be a quitter. I made it until December and started missing some days then. How do you know what blog to use, Weebly, blogger, WordPress, and many others? Blogger is very user-friendly. I used it as my first ever blog and did get comments and followers. I used it like a journal posting each day. Blogging like that got me on my feet and pulled me through a hard time. This year I decided to revive my blog, three days a week. My most read blogs were Foodie Friday and Writerly Wednesday and Teaser Tuesday. I am going to move Foodie Friday to Monday as Munchie Monday (Thank you Misty for the cutest name ever) i will feature recipes and stories to go along with them. 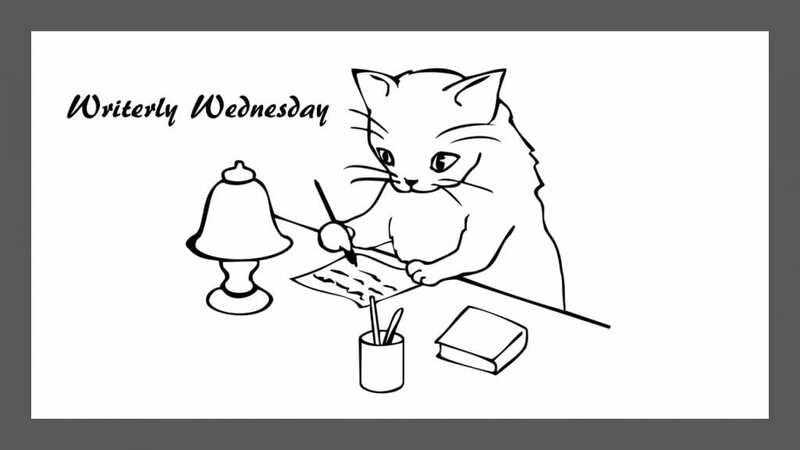 I am keeping Writerly Wednesday with tips, interviews and other thing pertaining to writing. And Friday is the 52-week MFRWauthor writing challenge. For now, I am only doing these three days a week with an occasional spotlight or guest appearance. If you would like to follow my books, see teasers, have games and other fun stuff join my facebook group Cat’s Romance-Aholics. Blogging can be time-consuming. I was spending hours a day on the blog, emails etc and not getting any writing. I have learned much over the years. I chose WordPress as a website and to combine my blog into one place. Should you blog? I think that is a personal decision. You can have a website with no blog, but I think people like to get to know an author. It makes reading books more enjoyable when you see bits and pieces of the person that wrote the book. I think it’s a good way to make friends. Blogging takes a lot of work trying to decide what to post, finding photos or songs and trying to make it interesting. So if you read blogs take a moment to comment. We love to know what you think! What do you like seeing on blogs? what do you not like? I’d love to know! On blogs I enjoy reading about what is passionate to the person, whatever that might be. I love your cooking, gardening, family, and pet posts. I also get value from hearing of your writing journey and books.